Food is NOT included. You should bring your own. 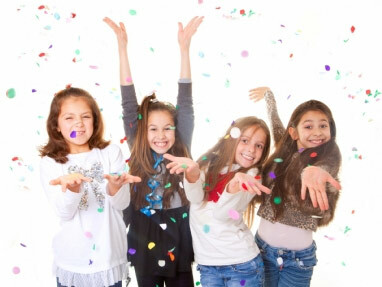 The children will have one hour of fun within the gym area under the direct supervision of the Party hirer. A member of staff will be within the Gym to supervise and interact with the children and assist the hirer in any way that is requested. There will also be a 2nd member of staff in Reception. 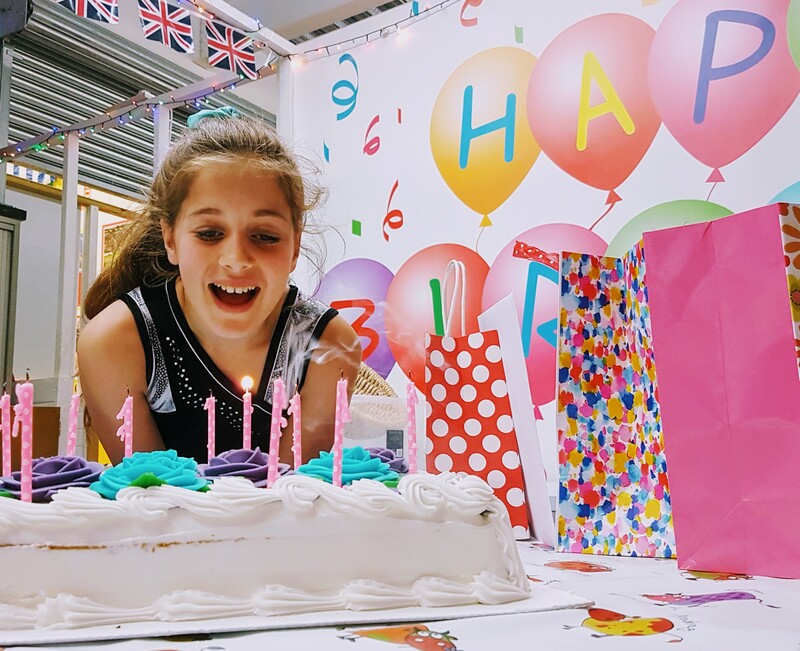 Depending on the age of the Birthday person, the staff will play with a Parachute and balls, do songs, and help in any way that helps the children enjoy their time. 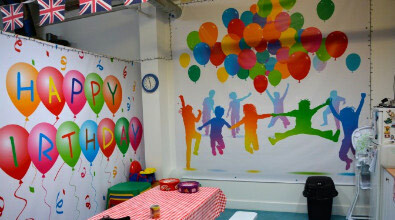 After the gymnastics play session, children will eat in the clubs colourful party food area. We will supply tables and chairs for your own food and drinks. This is allocated to last for a maximum of 45 minutes. All children within the party of 16 get a free slush puppy drink. We have three high chairs and smaller chairs for children under 6 and have tables for older children. Its bright and very colourful and all walls are padded. Flags and Mural’s hang giving it a wonderful feel the moment you step in. Ropes to climb & swing or to climb up. A colourful parachute can be used with soft balls which is great fun. Lots of soft play ( for the younger children) to have fun on too. And peace of mind that its a self contained padded room that’s not too big! 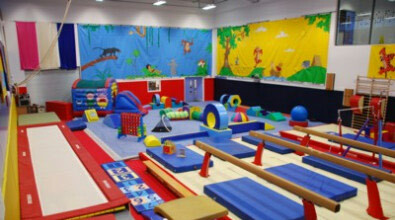 In the gymnastics area, it is easy to keep control of your children and the soft floors help to keep everyone safe. The facility is secure with a buzzing entry system in place and is totally independent within the Leisure centre. We have our own Disabled toilet within the secure area.. We regret that it can be a challenge for wheelchair users due to the nature of the surfaces but please get in touch to discuss before booking. We will do our best to accomodate your needs.